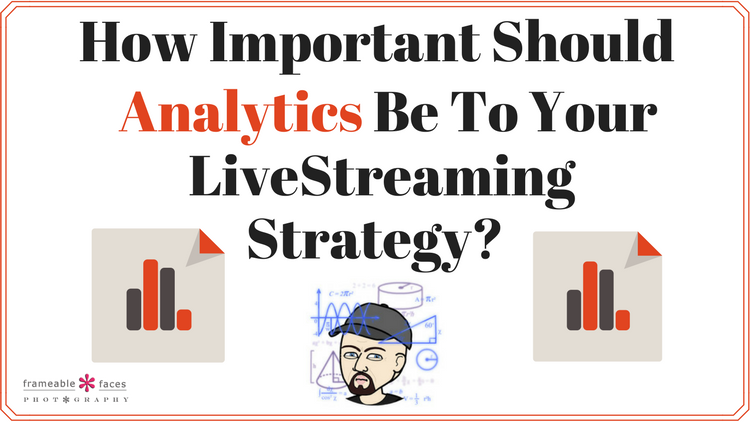 How Important Should Analytics Be To Your LiveStreaming Strategy? An exchange I had on twitter yesterday got me thinking… Of course I often go to football for analogies because I have a background there, so as a former player and a football “purist” I may enjoy comparing statistics for fun, but I would never play “fantasy football”. I never have and never will. I actually like statistics – I do. I’ll even use them from time to time in debates about teams and players and who was better. However, analysis can cause paralysis and “fantasy football” takes analysis (and analytics) to the point where the appeal and the game of “fantasy football” itself actually has little to do with the team sport of football. If you aren’t quite sure what a twitter chat is, it’s where a meeting, presentation, or just a conversation centers around questions on a topic that are put out to the group with a selected hashtag and the questions are tweeted out as “Q1” etc. as you see above. You then can jump in the conversation by using the hashtag and answering the question with an “A1” etc. 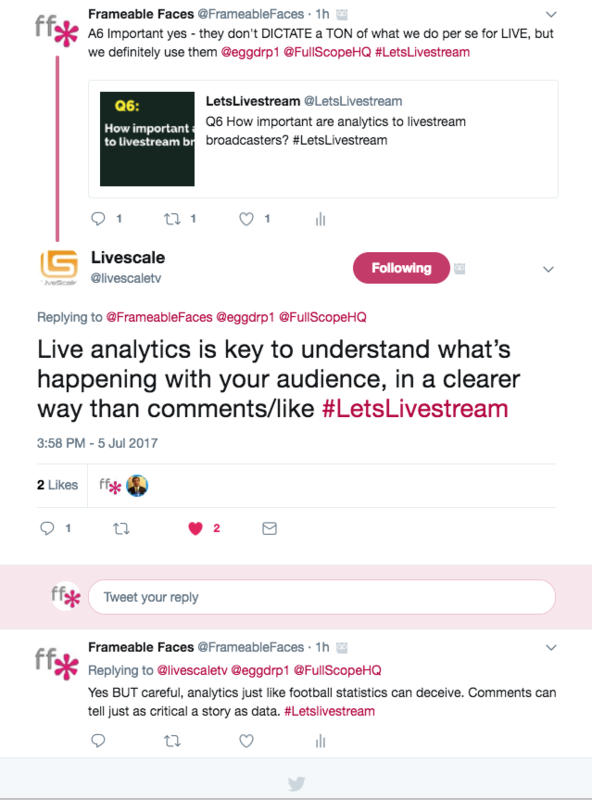 My off-the-cuff answer to this question was “A6 Important yes – they don’t DICTATE a TON of what we do per se for LIVE, but we definitely use them @eggdrp1 @FullScopeHQ #LetsLivestream“ As a side note Eggdrp and FullScope are the two main websites we use to grab our analytics for our Periscope broadcasts. Facebook Live and YouTube provide plenty on their own. 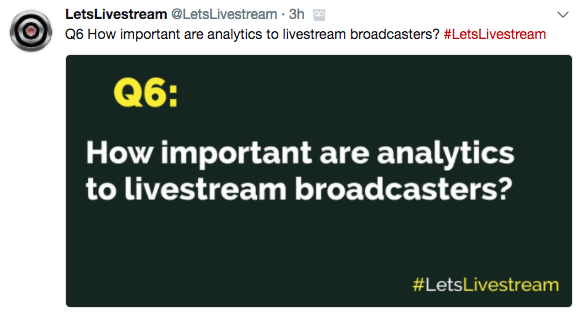 How Important Should Analytics Be? 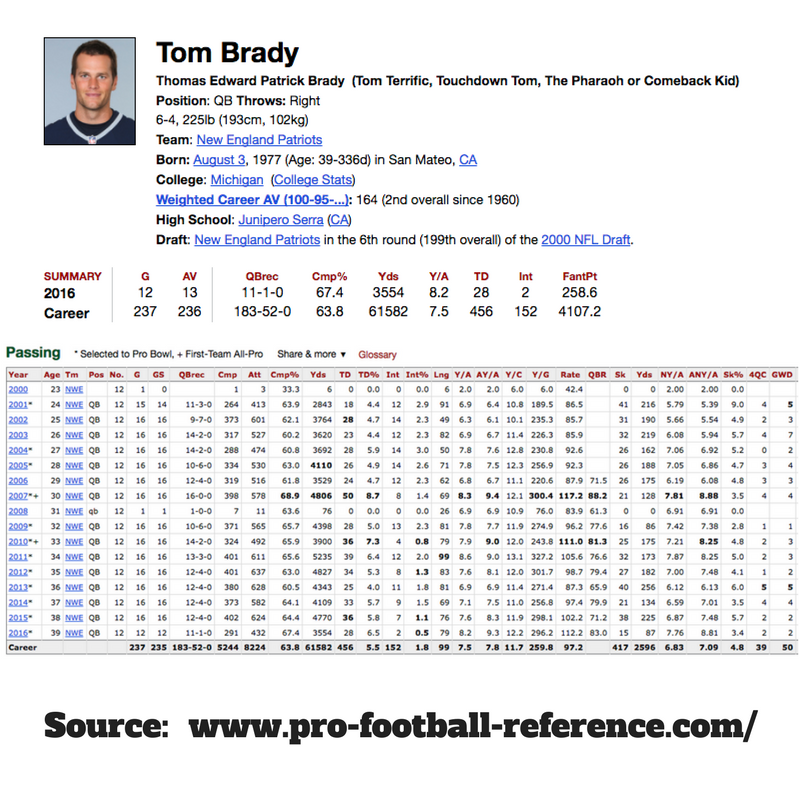 Tons of statistics there – he’s thrown for over 61 thousand yards and over 450 touchdowns. The numbers dotting his career in bold indicate statistics where he was number one in the NFL in that statistic. These are just regular season statistics – he’s also been the winning Super Bowl QB more than anyone in history. The data goes on and on, and these statistics / analytics tell the story of success on a massive scale. 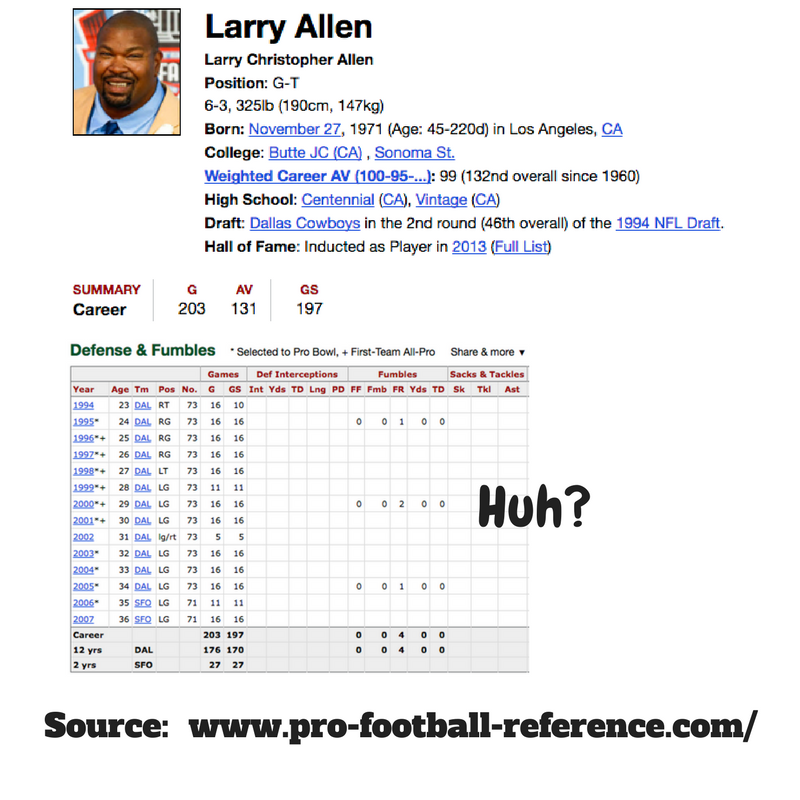 Now let’s look at Larry Allen…. In my opinion Larry Allen was the most dominant offensive lineman to ever play. As a Dallas Cowboys fan I probably watched Larry Allen in around 140-ish of the 176 games he played for Dallas (on TV) and he was a beast. Strong, massive, quick, nasty – a first ballot Hall of Famer. And just look at those stats…. Wait what? You see, while his coaches may have been breaking down his game films and grading him out on his performances, the only official statistics for Larry are the 4 fumbles that happened nearby him on the field that he was able to recover over the course of his career. As an offensive lineman Larry may have never touched the ball aside from those 4 times in 14 years. So how do we know Larry was successful? Because we were there watching Larry – watching him move, neutralize and flatten defenders one after the other. There are no official statistics for what Larry did and it doesn’t matter. Statistics DON’T tell the story in this case. The same goes for all social media – build your community organically and yes track your analytics. Watch for trends and try to track towards your goals. But make sure you focus on your relationships and the vibe and culture around your brand, your broadcasts and your content as a whole. Be true to that and then the analytics – while they are important – won’t be the only thing that tells your story, and they shouldn’t be.